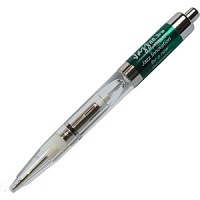 Flash light-up pens are great for law enforcement agencies, restaurants, truck drivers and other heavy equipment operators who need to write things in dark places. Built-in light allows for brighter writing area. 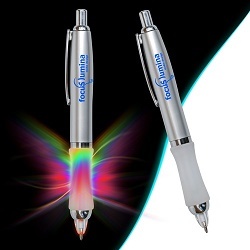 With your customized imprint light up pens are an excellent promotional and advertsing value. 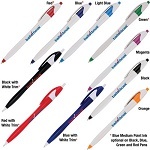 We have several syles of pens that light up your writing area to choose from and we provide free customer assistance. 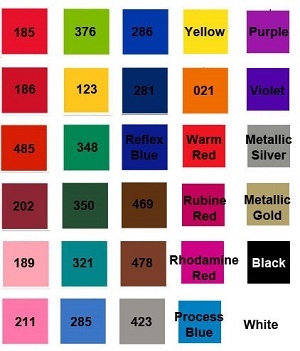 Pricing includes a 1 standard color custom imprint on one location. 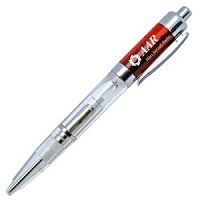 Call or Text 706-258-7041 for Customer Service, Design Assistance and a FREE Quote. 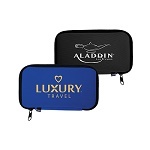 We have many years of experience ready to assist you. 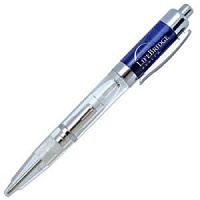 All custom printed Light Up Pens come with medium point black ink refill.